It’s official: LEGO is on a quest to take all of my money. I was already been spending way more than I should on some of their Marvel sets then they went and made the SPEED Champions Series, then they made that amazing Porsche 911 GT3 RS Technic kit. Though I was able to stop myself from getting that particular set. 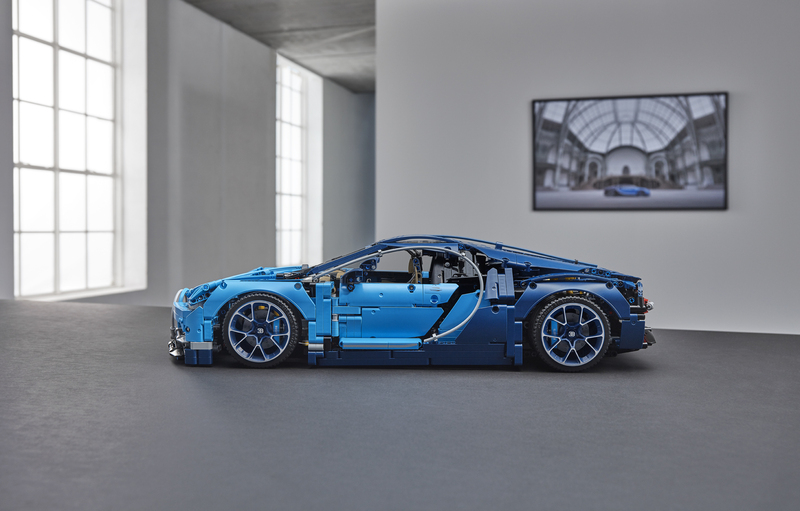 However, now I’m faced with a challenge as LEGO just revealed this awesome looking 2018 Bugatti Chiron Technic kit. Can I possibly resist? Probably not. There were rumors about this kit for a while but today it’s all real and official. 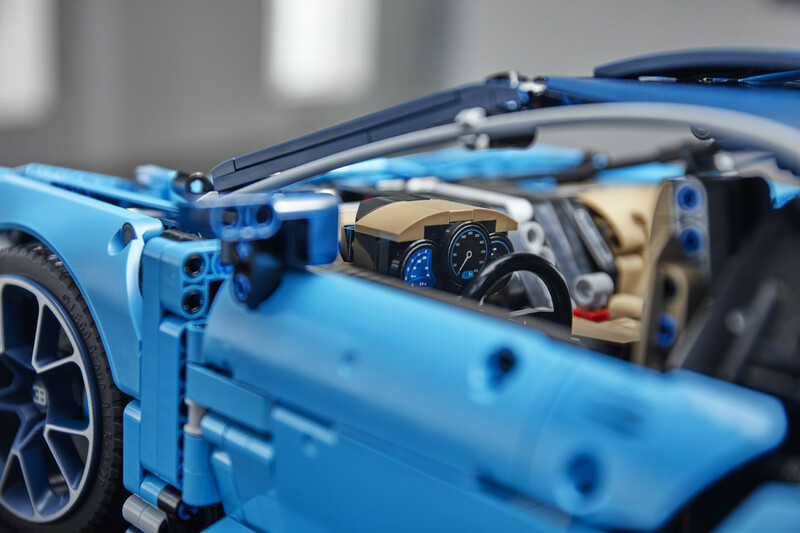 As you can imagine, LEGO worked directly with Bugatti to make sure they translated the Chiron to brick form as closely as possible and the end result looks pretty damn cool. 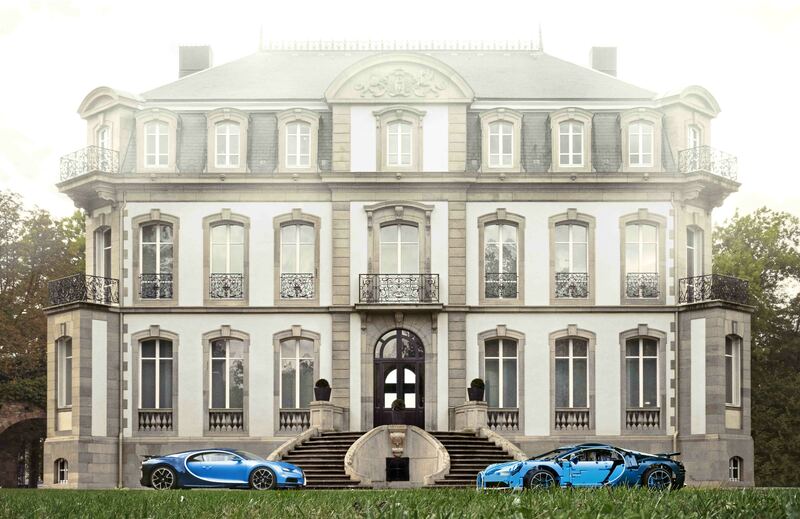 In total the Bugatti Chiron kit has 3,599 pieces. 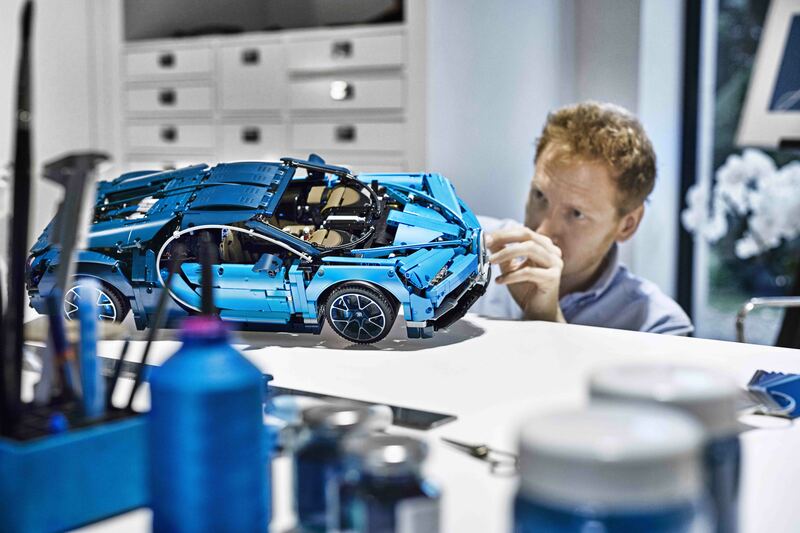 For comparison’s sake the Porsche 911 GT3 RS kit has 2,704 pieces. 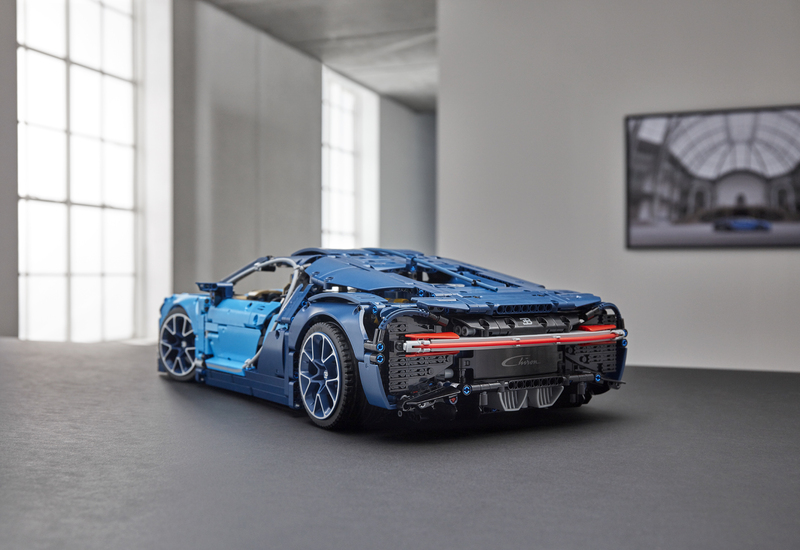 For those who hate math, the Bugatti Chiron kit has nearly 900 more pieces than the Porsche kit! 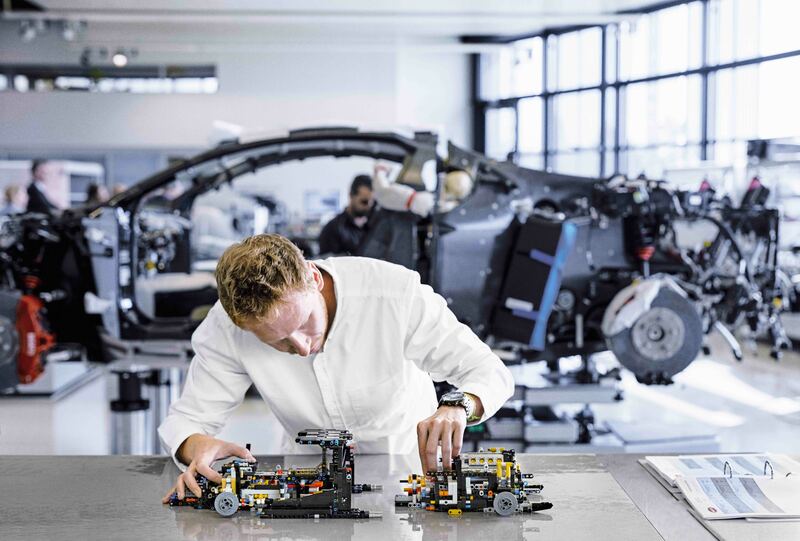 All those extra pieces translate to details on the Bugatti kit such as a tiny version of the Chiron’s W16 engine with moving pistons, an 8 speed gear box with paddle shifters, and special key that allows you to move the rear wing from “handling” to “top speed” positions. 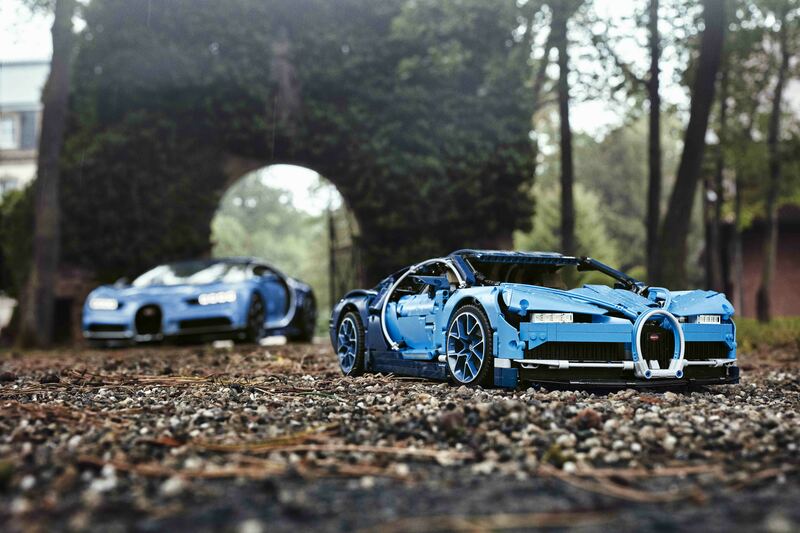 Oh, there’s one more detail: if you lift the front hood there is even a tiny version of the Bugatti overnight bag! How cool is that?! The kit also comes with a bunch of other cool odds and ends like a serialized number plate and a coffee table book. Though, all this cool detail is not going to be cheap exactly. 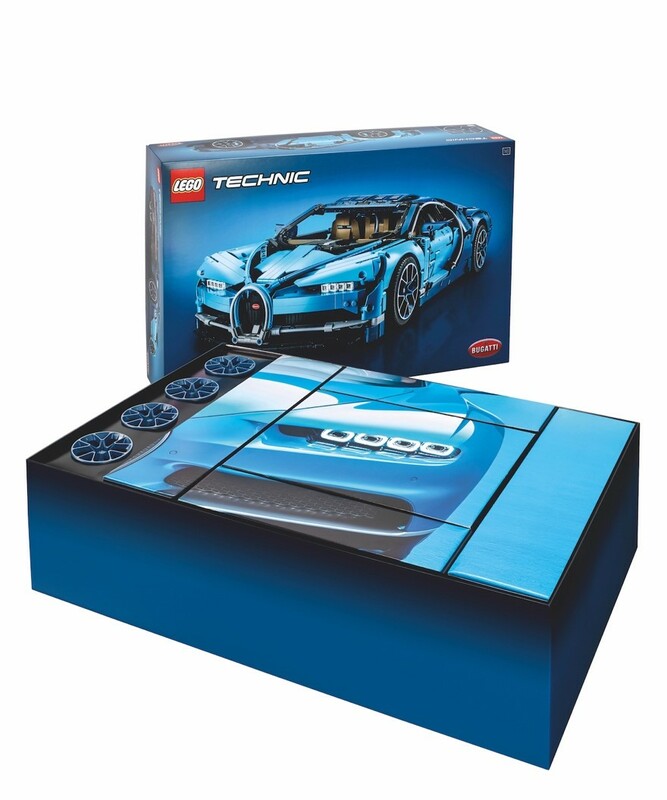 The Bugatti Chiron LEGO Technic kit retails for $349.99 which isn’t a bad price but like I said, not cheap either. 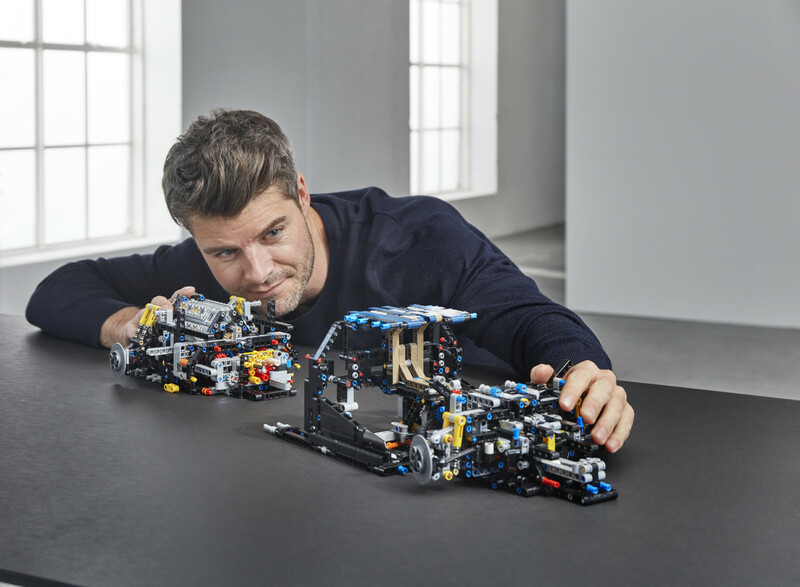 You can actually buy the kit right now if you order it directly from LEGO’s web store or if you go to an official LEGO Store. If you want to buy it anywhere else, you’ll have to wait until August 1st. This kit is probably going to sell out pretty fast so if you plan on getting it I’d suggest moving swiftly. I on the other hand, need to go talk myself out of going into debt just to buy this thing… For more pics and info check out the gallery of photos and press release below.